Simon Wood is Group CEO of Ubisecure. As Group CEO, Simon is responsible for planning, communicating and delivering Ubisecure’s overall vision and corporate strategy to enable the true potential of digital business through modern identity management solutions. Prior to joining Ubisecure, Simon was CTO at GMO GlobalSign, a leading global Certification Authority, where he led the technical and strategic growth of the company. Simon has also held executive positions QuantumWave Capital where he led the Venture Building practice, Talecom, an enterprise mobile software company, Artilium PLC, the mobile virtual network enabler, and flyingSPARK, a mobile applications company. Simon graduated with a Bachelor of Engineering in Electronic Engineering from Southampton University. He holds multiple patents in the field of mobile internet software systems design. Simon will be introducing us to his company ‘Ubisecure’ after its recent launch into the UK identity management marketplace. 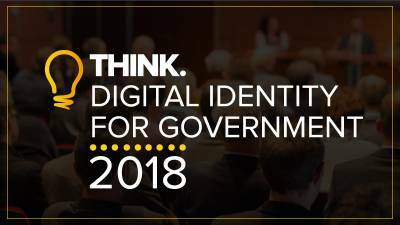 He will be sharing the identity insights from the companies and Government organisations in its home territory of Finland where almost all adults engage in some way with a Ubisecure platform, product or service. You can register to attend the conference which is free to attend for the public sector here.